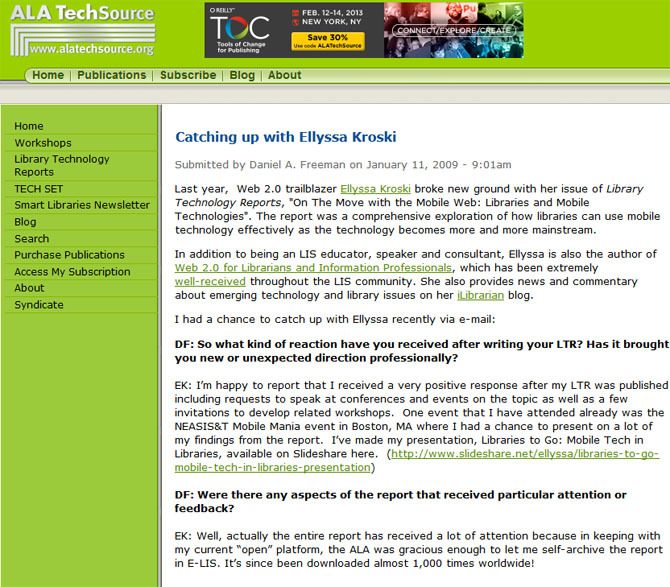 “Last year, Web 2.0 trailblazer Ellyssa Kroski broke new ground with her issue of Library Technology Reports, “On The Move with the Mobile Web: Libraries and Mobile Technologies”. 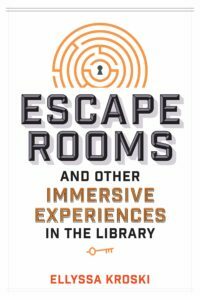 The report was a comprehensive exploration of how libraries can use mobile technology effectively as the technology becomes more and more mainstream. 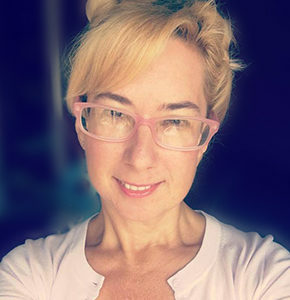 In addition to being an LIS educator, speaker and consultant, Ellyssa is also the author of Web 2.0 for Librarians and Information Professionals, which has been extremely well-received throughout the LIS community. 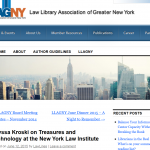 She also provides news and commentary about emerging technology and library issues on her iLibrarian blog.